Food Factory's menu features affordable international favorites from the Middle East and India. House specialties include delicious kabobs cooked on a charcoal grill and served with rice, tandoori naan, and your choice of side dish. Additional natural and halal preparations include samosas, tandoori, wraps, falafel, gyro, curry, and biryani. When ordering for two, Food Factory's karahi with chicken, lamb or beef is a very popular choice. Open for lunch and dinner, Food Factory offers in-restaurant counter service and buffet lunch dining as well as a full menu for online ordering for take out. 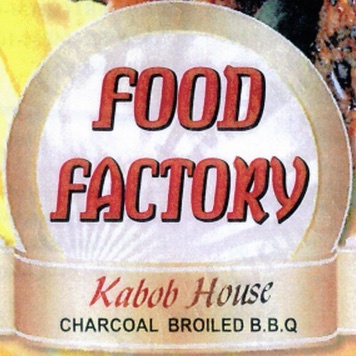 Food Factory Kabob House restaurant is located in the Campus Village Shoppes on Baltimore Ave. between Navahoe St. and Melbourne Place. © 2019 Food Factory. All rights reserved.